Fishing is a game of patience but it can be spiced with an inclusion of fish finder into your boat. The below guide will help you choose best fish finder under 200 dollars. The guide will help you catch your big prizes during a long day fishing. Although you might be an old-schooled hobbyist but with the inclusion of fish searcher, you can make your day more happy and interesting. Fishfinder or a depth finder will scan the water underneath your boat and will point out where are the big nuggets. They send out sound signals into the water and sound reflection is depicted visually on a screen for an angler. You can mark up the location and target the big fishes. While if you don’t have a fish finder your day on your kayak would be a hit and trial method. You will soon feel that your newly added machine to your gear will become your number 1 Mr. Dependable. That’s not all if you are planning to sell your catches then a fish finder will help you identify places to target. It’s not necessarily a fishing rod helper, you can use a depth finder to catch fishes by nets or any kind of equipment. The good news is with this budget of under $200 you can have a fish finder with Down Scan, Down Imaging and ClearVü/DownVü. We have gathered all the information of the best fish finders in the market so you can save your time and choose which suits your budget and requirements the best. Deeper Smart Sonar is one of the best in this list of best depth finders under 200 dollars. It goes a step ahead and utilizes smartphones. Smart sonar pro integrates with smartphones and provides all the visualization on your phone. This makes the device very portable. Does not matter whether you have an IOS or Android phone. The app is available in both stores and device has its own Bluetooth connection applicable to 130 feet. It’s a 290/ 90 kHz dual beam scanner and can look around 130 feet. The model uses batteries and can last for six hours. This indicates that you should have a spare set of batteries if you are planning a long day fishing. The batteries are rechargeable so you can use them again. The cool part is the app comes with integrated camera function so you can take pictures of your catch. It will not work in fast current as water gets over and interrupts the Bluetooth transmission. A dual beam aquatic fish searcher operating at 83/200 kHz. Bottom and side scanning gives completes visuals on screen with 320px x 240px resolution. This resolution is more than the minimum 240px x 160px. The LED screen is very bright and can be easily seen in sunlight or during the night. The brightness is controlled by the power button. It forms 60-degree cone angle at 83Khz and 20-degree conical angle at 200Hz for shallow scanning. Lowrance has patented their special transducer called skimmer which provides great details about water depth and temperature. It displays fish icons instead of the arches so it makes your life much easier in identifying the object of interest. It has a relatively smaller battery of 180 watts. The package does not include batteries you have to buy them separately. It works great on kayaks and you can easily mount it on there. With proper maintenance, this depth finder will last for longer time. Ideally, the transducer has to be placed quite below the boat making sure it doesn’t collide with floating objects. Garmin striker 4 makes the list of best fish finder under 200 dollars owing to its GPS combo under a very affordable budget. It has a 3.5-inch display with a pixel matrix of 480px x 320px which is reasonable for a starting device in Striker 4 series. The display has a backlight and you can view screen in direct sunlight. CHIRP DownVu is being employed in this device. Although GPS is included in this unit but only have the chart plotter. GPS will give you a blank sheet for helping service. It does not include maps but you can store up to 5000 waypoints. The depth it can measure in freshwater is 1600feet while for saltwater it is 750 feet. The frequency is 77/200 kHz with 15/45 degree cone. The transmitting power is 200 Watt Power and 1600 peak to peak power. The transducer is only capable of mid and high range CHIRP. The transducer comes with both transom and trolling motor mounts. Like Deeper Smart Sonar, FishHunter Military Grade fish searcher uses a smartphone app to get connected to your mobile phone via Bluetooth connection. This makes it extremely portable and easy to use. The military in the name indicates that its designed for military specifications. It has a very healthy battery that can last for 8 hours for a single session. The bright orange rubber makes it hard to lose from sight. The military grade material used makes it tougher and durable. The app comes with GPS which provides the ability to drop pins which serves for location tracking. The transducer operates at 381 KHz and utilizes 3D imaging. Depth measuring ability is to 130 feet. It offers something different by taking snapshots every 60 seconds and store them in your mobile gallery. Although its Bluetooth is claimed to go till 150 feet but in reality its only 80-100 feet as per user experience. However, it also offers Wifi Transmission in case the temperate falls below 0 degrees where Bluetooth becomes useless. You do not need an internet connection to use the Wifi. Less complicated device with a straightforward operation. The calculation begins as soon as you turn it on and throw the transmitter (20 feet long) into the water. The LCD display is small with a 2.4-inch screen but is colored. It comes with a mount that you can screw it on your boat. It is also portable and you can wear it around your neck as well. You can use it for Saltwater fishing but you will not be able to track your route as it does not come with GPS. 240px x 160px pixel display which is just at the starting of good display powered by 4 AAA batteries that can last 6-8 hours. So you should keep a backup set of 4 batteries. From 2 feet to 240 feet it can measure depth with one-tenth accuracy. It comes with dual beam sonar which means it can be operated for both shallow and deep depths. It shows temperature both in Celsius and Fahrenheit. You can make use of stop chart, which stops the processing and you can analyze one frame with its details to the fullest. This will help with better user experience as it can be troublesome on some devices. In addition to 3 to 99 feet depth alarm, Signstek FF-003 comes with manual and auto zoom. The toughness of device is questionable in cold harsh weather. But the good news is that the device is waterproof. You can use it in rain but why risk it when you can enclose it in a rubber bag. Humminbird fish finders are regarded as the most user-friendly devices. PiranhaMax 197C makes into the list of best depth finders under 200 dollars because its economical for the features it provides. The 3.5 inch small display is recovered by 240px x 320px pixel matrix which is more than the recommended pixel requirement which is 240px x 160px. This means the screen display will be very sharp for a small screen display. The transducer epoxy built and bracket stainless built can ensure that will last for years in salt water. It can work up to a depth of 600 feet via dual beam technology and provides water temperature. Dual beam at 455khz will provide a complete picture of below and surroundings of the boat. Its accompanied with fish selector Id which tells the number of fishes underneath. The device is waterproof making it durable and operates at 1600 Watts. The power is large enough to go deep into the depths. You plug it in with your boat battery and get power from there. It does not come up with GPS but is compensated by fish alarms, depth alarms and easy to use the zoom. The transducer has to be mounted on the boat. It is an entry-level fish finder but you will be amazed how accurate its scanning is. 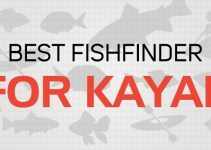 In this list of best water depth searcher under 200, it’s the cheapest fish finder. The display is small with a 2.5-inch screen and black and white display. In this low price, the small screen size is justified. It can measure the depth from 1M to 100M and you can also take it for ice fishing. However, it’s not waterproof. Extra care is needed as fog might affect the device adversely. Like other most fish finder it can only show the size of the fish when the sensitivity is at its peak. You should use it above 0-degree temperature above this temperature range will hurt the device working. 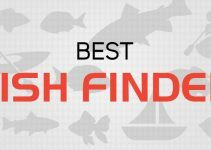 Garmin Echo comes into the list of best fish finder under 200 dollars. Gamin has been known for one of the best GPS devices but this model does not come with it. The model comes with smooth scaling that keeps the picture fresh when changing frequencies. It’s a 3.5inch display screen with 240px x 320px pixel matrix. With 77/200 kHz transducer that can be mounted both on the transom or trolling motor. Echo 301c utilizes echo beam technology and can measure the depth of 1750 feet. With side range of two being 60 and 120 degrees it can form clear images of the surroundings. It will work with your 12Volt DC marine battery with power cable length of 25 feet. It works great for freshwater but not recommended for saltwater fishing. Another problem is the low volume of the fish alarm. You have to be really active to listen to fish alarm beep. Eyoyo has given a completely different approach to fish finder. This model comes under the category of fishing camera. You immerse the camera into the water and get to see what is the surrounding of a 7-inch large colored display. The camera can be used underwater at night as well. With the whole accessory, it seems like a 500 dollar fish finder but that is not the case. Unlike other devices where you have to understand plots, structures, bottom and objects. Eyoyo’s model actually shows everything in detail. The camera is in shape of fish so it quickly mixes with the surrounding and does not disturb the fish around. The monitor has a pixel ratio of 800 x 480 which is pretty high from everything reviewed here. The camera has a length of only 15 meters and can operate from -20 degrees to 60 degrees. It has one lithium battery that can last for 10 hours. Moreover, the built is anticorrosion so you can use it in salt water as well. New Garmin 4cv is a very competitive device and makes into the list of best fish finder under 200 dollars. The display is small only 3.5inch but has a very good pixel ratio of 480 x 320. The model comes with 2D, DownVu and CHIRP all enclosed together to form perfect crisp images. You can use the dual beam with this model that offers low and high frequencies of 77/200 KH and offer different cone coverages. In addition, 455/600Khz frequencies are also included with CHIRP ClearVu. The GT20-TM transducer enables scanning in mid and high range CHIRP bands. In the list of best fish finder under 200 dollars very few devices have GPS included. This device includes the GPS but does not support maps. But you can have the chart plotter and drop many waypoints for navigation. The downside is that you would have to buy the battery along with its charger. All fish finders have some pros and cons. It’s necessary that you identify your requirements before making a decision to choose the best fish finder under 200 dollars budget. Read these points carefully and understand the importance of each. Depth finders are available in wide variety of sizes and screen size matters a lot. There are two types of fish finders. One with transducer plus display unit while others with transducer only and are connected to your smartphone. If you are choosing the later then screen size doesn’t matter as most smartphones are 5 inches these days. However, if you are buying a complete unit with display unit then look for the unit which has sharper colorful display typically over 5 inches in size. This is very crucial as you don’t want to spend a lot of time analyzing what’s on the screen. The tricky part is most the fish finders scan the water and depicts objects underneath as potential catches. If you have a smaller screen size you will most probably mistake those objects as fishes when in fact they are just rocks. Fishes always make up an arc on the depth finder. A larger screen will help you easily identify the arc around an object which is a fish. A rock or a boulder will not have that arc around it. Moreover, the color display will make the tip of fishes have more shaper colors typically or orange-brown shades. Now if you have a smaller screen you would need a magnifying glass to see all these small yet difference making elements. Another important aspect of choosing best fish detector under 200 dollars is the pixel size. Make sure that a screen has a good amount of pixels vertically and horizontally. If you are not aware of what pixel is then a brief explanation would be: Pixel are small points which makes up the whole screen. The larger the number of pixel better definition of the image on the screen. So here’s the catch bigger screen with a low number of pixels is no better than a small screen with medium pixel number. A good pixel device will help you identify fish, structure and bottom more effectively. Ideally anything higher than 240px x 160px (vertical x horizontal) is a good resolution. Some fish finders come with the GPS integration. You might think that you don’t need a GPS believe it or not it is such a handy addition if you have it. It just doesn’t mean to tell you where you are at. It is much more than it. Especially if you passed a point but realized that you missed a big school, the GPS will have the information recorded. You can simply mark it on the map and go the exact point and do the business. Although it’s not a super necessary element but selecting best fish finder under 200 dollars it can make a difference. Scanning power is a measure of a fish finder ability to scan penetration. More the power, more is the scanning ability. The fish detector can go into depths and record better data for visualization with more penetration power. Moreover, bigger the power of the device more quickly the screen gets updated with the picture. 600 watts is usually enough for shallow but for deeper fishing you should consider a 1000-watt device. Difference frequencies have different penetration abilities. Higher frequencies are best to scan shallow water while lower frequencies are better for scanning the deep water. The best fish finder will have the ability to operate at both lower and higher end. These signals are sent via transducers. Make sure that your transducer is dual frequency operate-able. It can scan both shallow and deep waters. In addition, there is also multi-beam throwing transducers available which form a 3D image but are more expensive. The best fish finder would have the capability to make an entire picture of what is directly below and in surroundings of the boat. The dual beam functionality means the same. The best fish finder under 200 dollars if has dual beam functionality then it can be a big plus point. However, if you are not an occasional fish hunter then you can compromise on this feature. Big battery duration means you can use your fish finder for an entire day. Smaller battery duration means you can use it for few hours. Provided you choose a smaller battery unit, you might want to consider a backup battery if you plan to fish for a whole day. Fish detectors can either be mounted or you can keep them in your hands and move around. It is a personal preference. If you are in short of space then a smaller unit with lighter weight would be a better choice. However, if you want to keep things organized and you bought a bigger unit then you can mount it on a holder. The typical holders are very flexible and can move in all directions. You can set their angle for a sitting or a standing view. Another important part is the durability of the device. Is it waterproof? Will it withstand a jerk? If it slips from your hand is the screen going to crack or will it be fixed firmly in harsh winds? You need to consider the toughness of the device before taking the decision. Fishfinders come in black and white or colored versions. Both are workable but a colored version will help you understand the picture. Especially the structures which are sometimes mistaken for a school of fishes. A colored version will not only help you discern the snowflake structure as a fish but will also help in identifying the arches around big fishes. So if you can afford then the colored screen is a better choice. Hummingbird is famous for its user-friendly interface. Some machines are hard to understand and can be a problem if you don’t understand how to use a fish finder. User experience is important and ease of use can save time in moving back and forth in software. The starting 10 points to consider are very important and if you read all those points in detail then it would be relatively easier to judge each device on its merit. 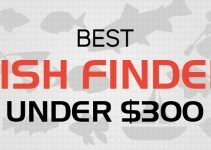 In the budget range of $200 selecting the best fish finder under 200, I would personally prefer Sonar Pro or Garmin Striker 4CV. One gives the freedom of portability and a large screen on the smartphone while the later comes with DownVu, ClearVu and CHIRP. However, if you are looking for something easier to use that is easier user experience then consider Humminbird. Humminbird is leading in terms of the easiest user interface and experience. If you are planning to go on a big adventure in the wilderness you will know a lot more than just fish finder. Yes, we are talking about other tactical gear. Check out our other reviews and see what suits your gear more. Hey, Welcome to Tell Me Best! Striving to provide the Best Information and User Experience. Please do leave your thoughts after reading the post. I would love to have feedback from You. I am looking for a gift for my husband Asad. I have fixed budget of 200. Please give me an exact recommendation? Deeper Smart Sonar is going to be memorable for him Madie. Deeper if you can afford. No comparison. But if budget is an issue then you can compromise to get iBobber.